In any case, speaking of hot (however yummy smelling!) 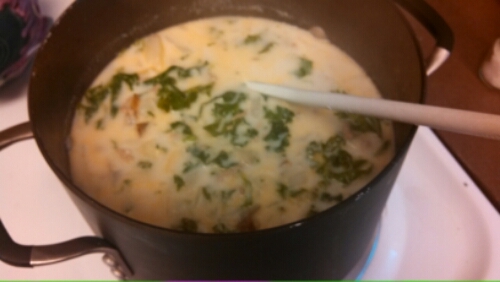 things, this homemade Zuppa Toscana from The Girl Who Ate Everything was just delightful. I used ground pork instead of Italian sausage, because I had stocked up on ground pork a few weeks back when it was less than $2/lb at the grocery store! I omitted the bacon simply because I didn’t have any. I used half and half instead of cream, since my husband and I both accidentally bought cartons of half and half on the same day, so we had a lot on hand. -Cook the Italian sausage and red pepper flakes in a Dutch oven (or large pot with a lid) over medium heat until crumbly, browned, and no longer pink, about 10 minutes or less. Drain and set aside. -Add the onions and garlic to the same pot and cook until onions are soft and translucent, about 5 minutes, then add the bacon. 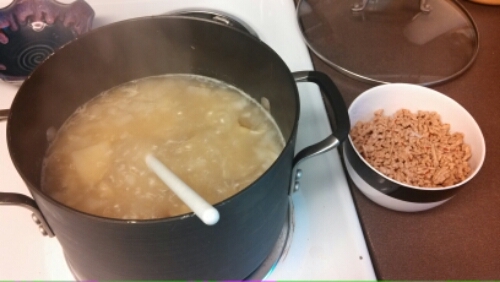 -Pour the chicken broth into the pot with the onion mixture and bacon, then bring to a boil over high heat. 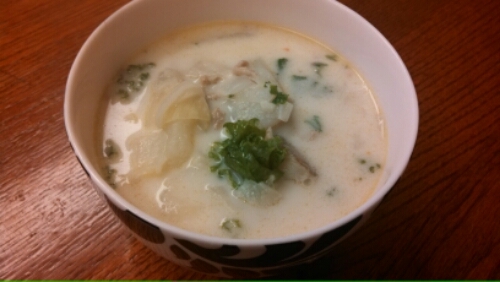 -Add the potatoes, and boil until fork tender, about 20 minutes. 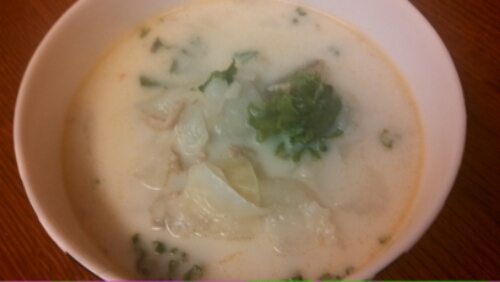 -Reduce the heat to medium and stir in the heavy cream and the cooked sausage, and heat through. 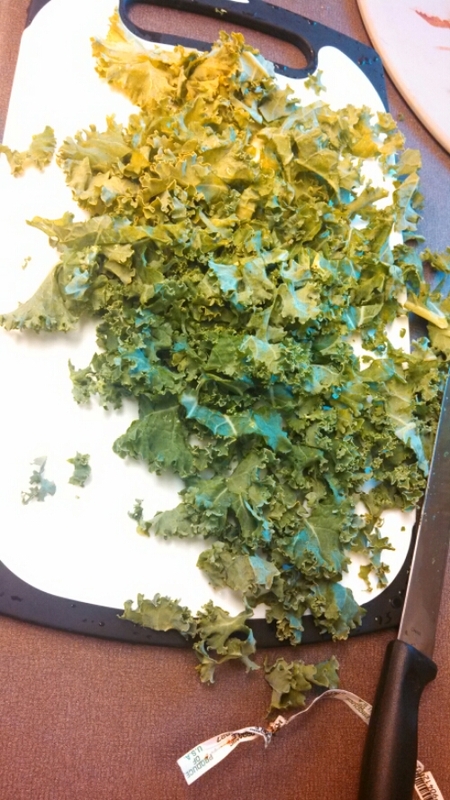 -Mix the kale into the soup just before serving.